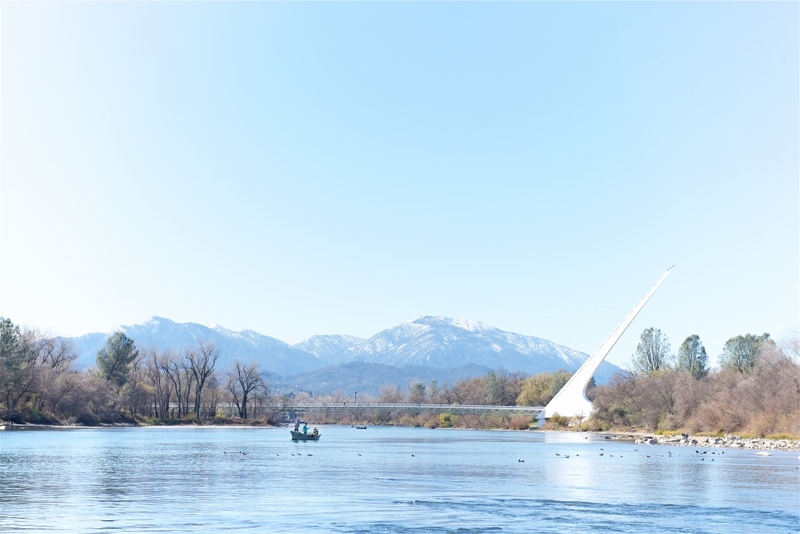 Redding, California is known as one of the best areas for trout fishing on the west coast and made Forbes list ‘Top 10 Fishing Towns’ in North America. 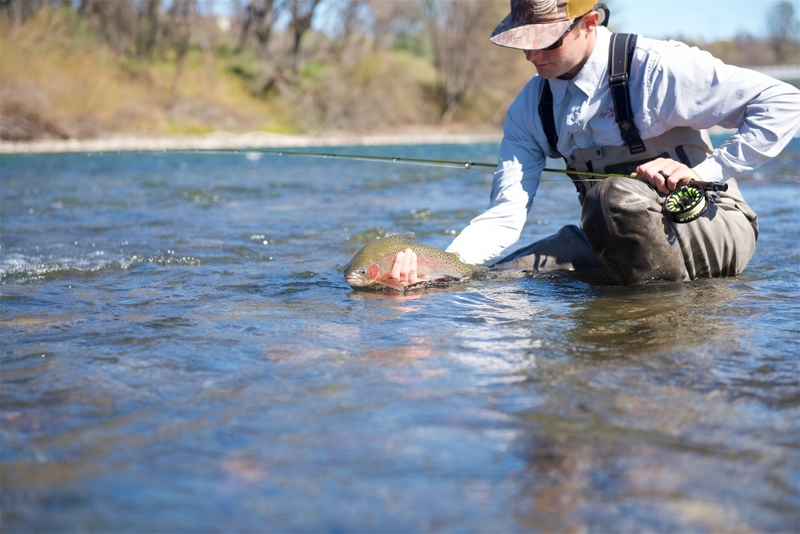 Within an hour drive, you can be on some of the most renowned fly fishing rivers and streams in the country, but it can all be a little overwhelming to figure it out on your own. 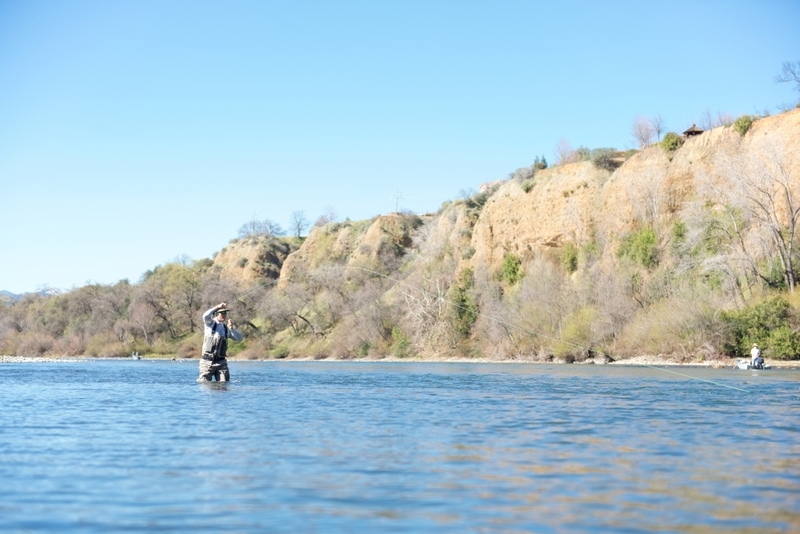 There are a lot of rivers, a lot of access points, and a lot of methods and flies you can use. 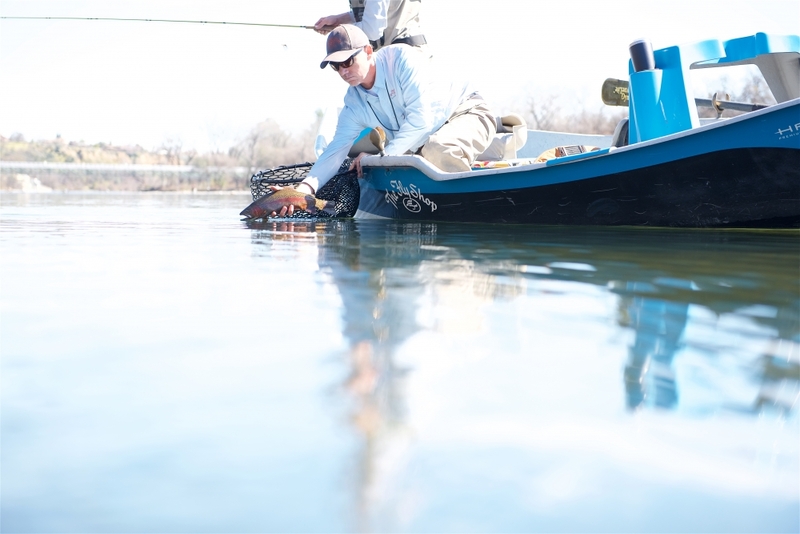 Regardless of your skills as an angler, you can’t beat local knowledge and fishing with a guide will drastically increase your chances while improving your experience. 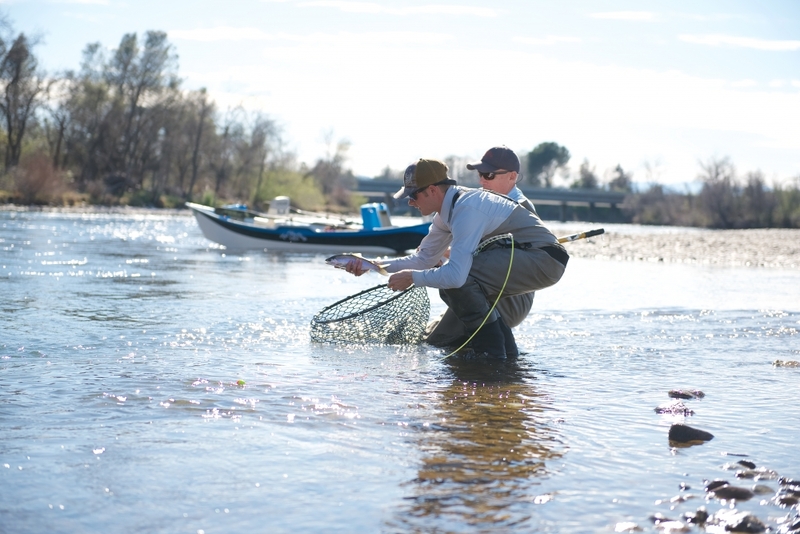 There are many different outfitters and operations that guide on the rivers of Northern California, but none as distinguished as The Fly Shop. 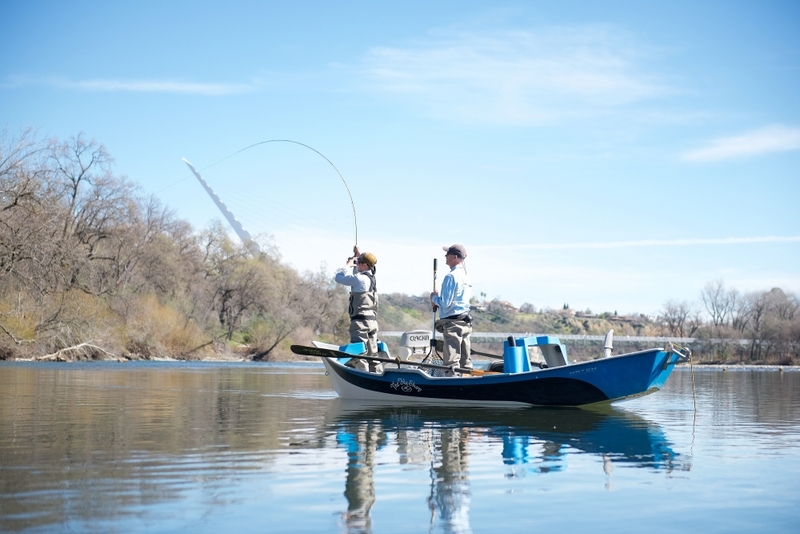 I teamed up with Fly Shop guides Russ Kegler and Steven Fry for a day on the Lower Sacramento. We met at the shop one morning and Russ showed up with a game plan already in mind. We hopped in the car and headed to the boat launch. 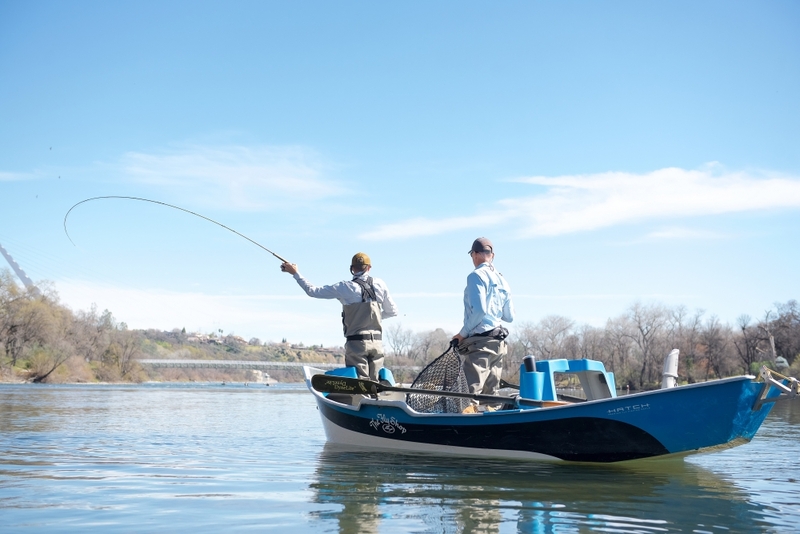 As we were getting set up, Russ shared his plan and said that the best feeding window has been late morning so we could take our time getting ready as the river had yet to come into shape. 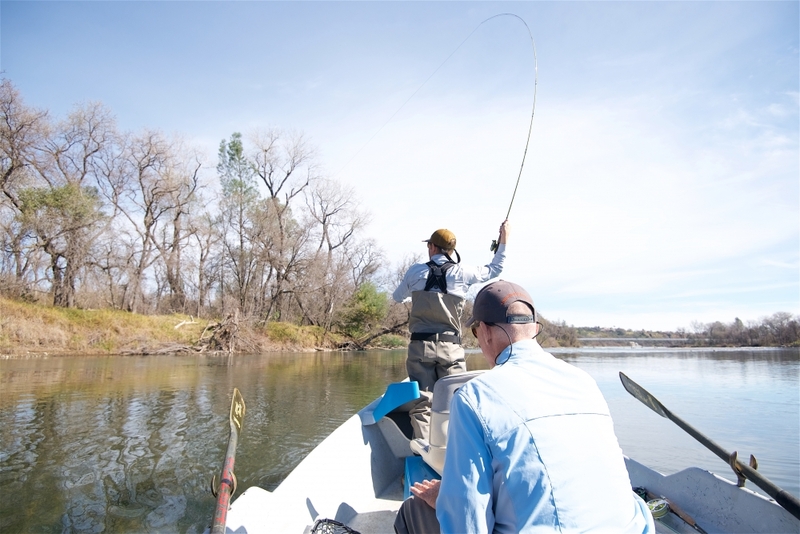 We slid into our waders and started sharing fishing stories while sipping a cup of morning coffee. 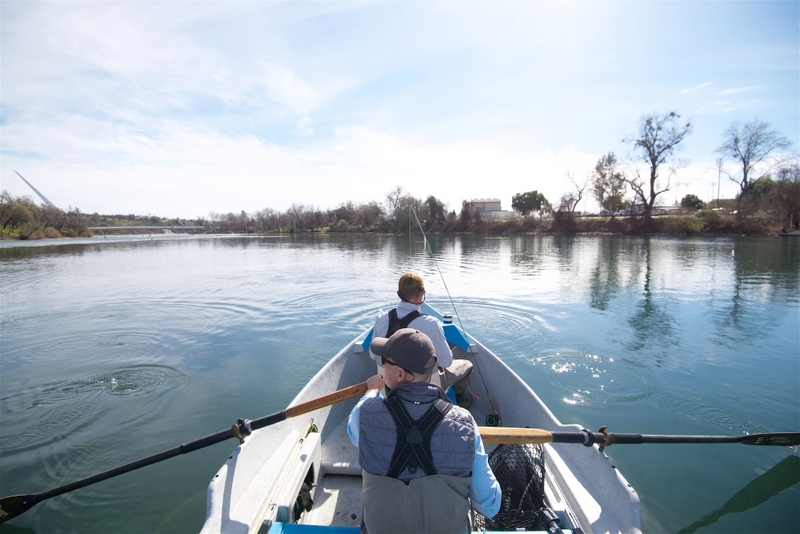 Once ready, we got in the boat, rowed to one of Russ’ spots, dropped the anchor, and started getting the rods set up with the proper flies. The jokes and stories continued as the river started coming alive. 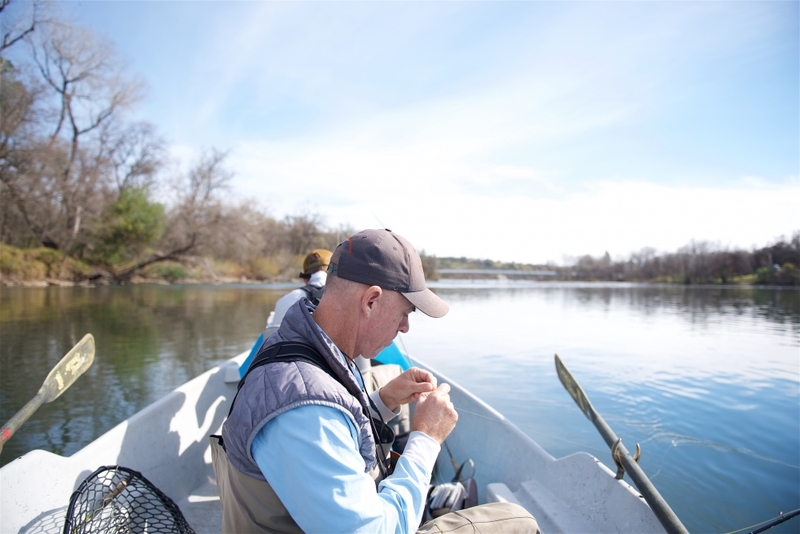 Trout began rising to bugs on the surface and Steven made a few well-placed casts and was hooked up almost immediately. 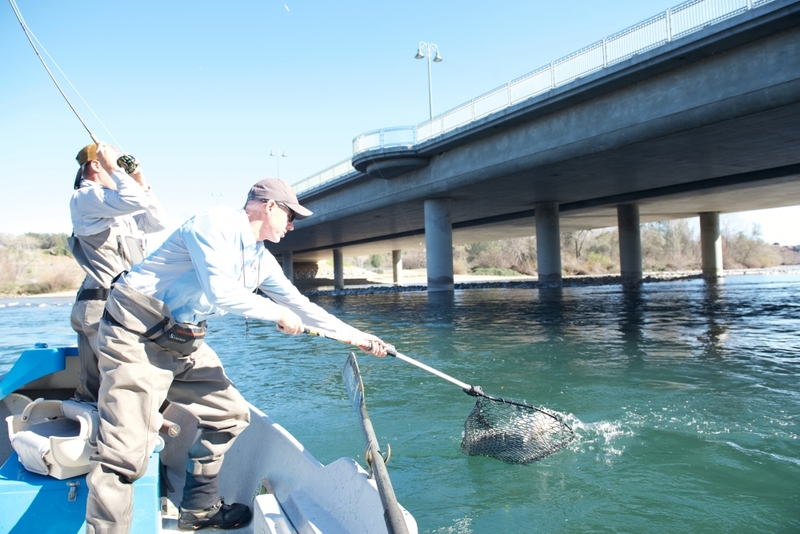 After bringing a few to the boat, we started working our way down the river. 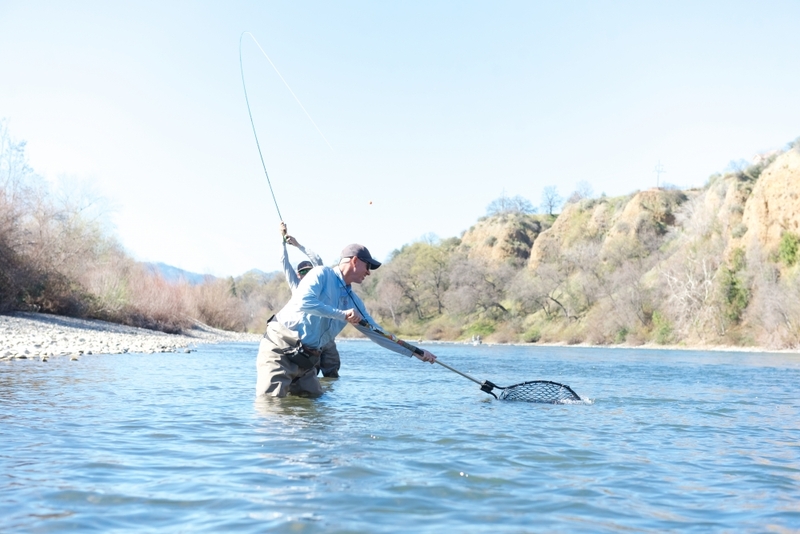 Russ stayed pretty busy netting and releasing fish all morning long. 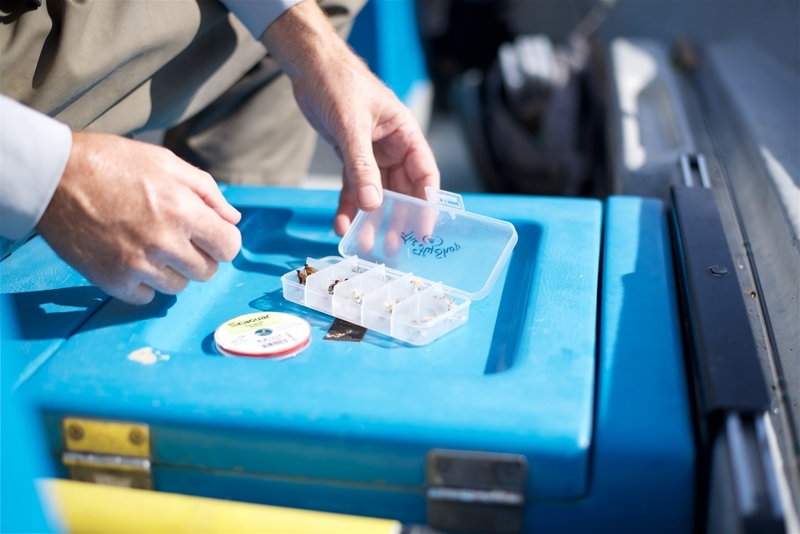 He made sure our flies were always in the best spot and I quickly learned to place the fly where he instructed was usually followed by “Get ready there’s gonna be one sitting right….there!” Sure enough. 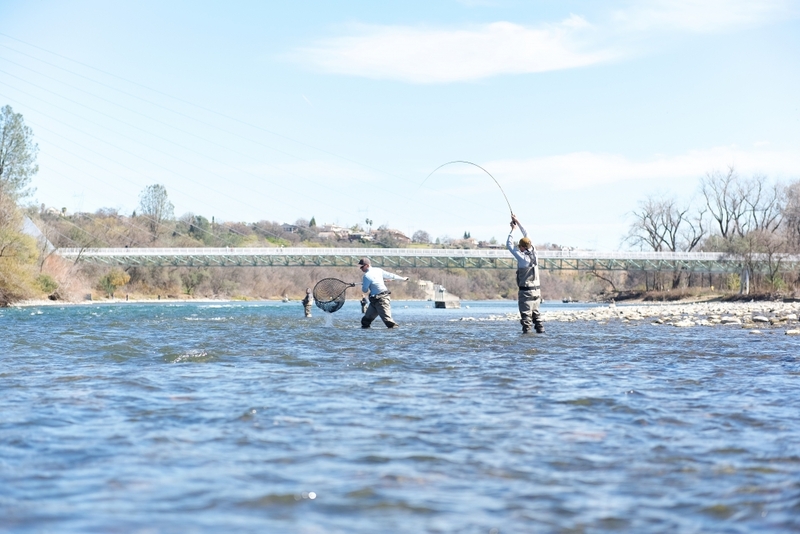 Fish on! These Sacramento rainbows fight incredibly hard and each one was a perfect specimen. 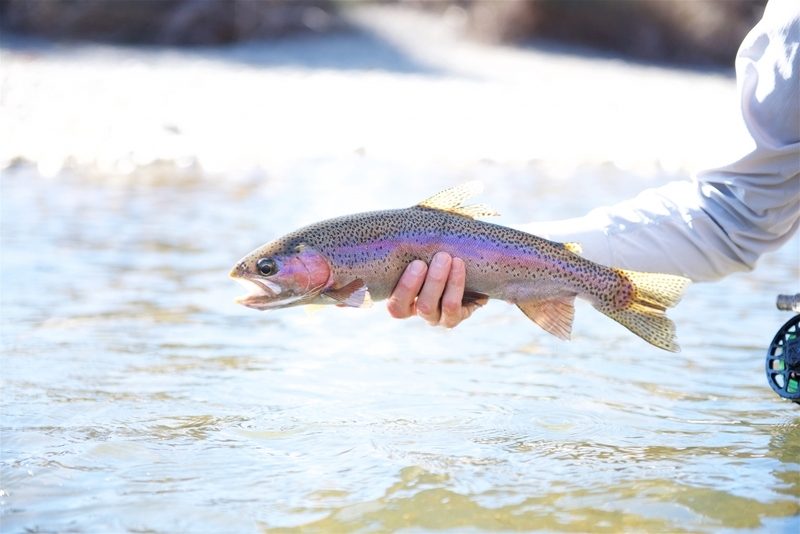 With the sun now high in the sky, the rest of the float became a blur of unbelievable scenery, laughs, and trout. 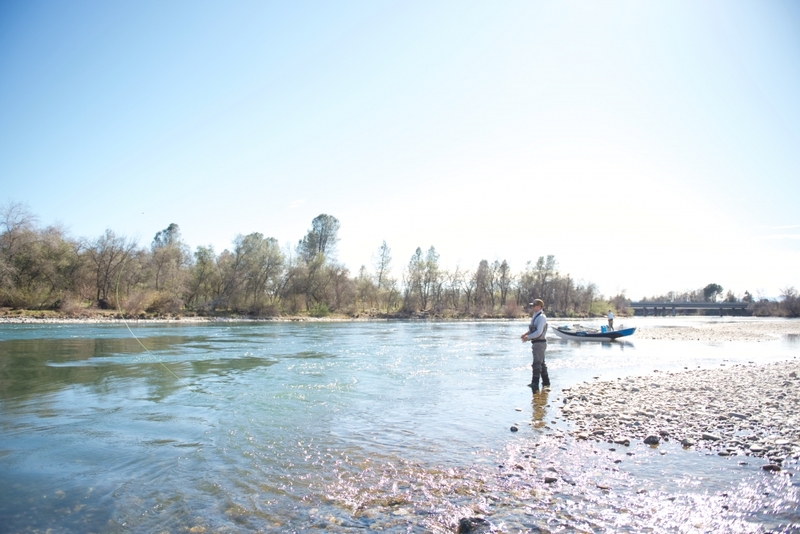 My eyes would stray from the fishing to admire the setting and natural beauty of the river. The twilight zones moments were typically interrupted by someone yelling “SET!” as a wild rainbow was munching on the flies. By the time a reaction was produced the opportunity had passed, but it didn’t matter too much. We had so many to hand that it was impossible to have remorse over the one that got away. The hours flew by and our time was coming to an end. High-fives all around were given for a day full of new memories while smiles stretched our faces ear to ear. My experience would not have been as perfect if I had tried to do it on my own. I can’t stress enough how invaluable a guide can be. Not only are things simplified, but you also get to learn from a pro and meet some truly amazing people.